What are the qualities of a reputable company? 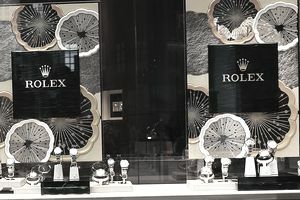 And how can you know for sure that companies like Rolex, Disney, Google, Microsoft, and Apple more "reputable" than any other retailing company in the world? According to the Reputation Institute consulting firm, reputability is quantifiable. Specifically, they claim, reputation is quality resulting from a calculable sum of innovation, citizenship, financial performance, leadership, governance, and, particularly in the retail industry, quality of products and services. In 2014 the Most Reputable ratings and rankings were based on the opinions of about 55,000 people who were interviewed by Reputation Institute consulting firm members. In 2016, that survey paradigm changed completely and the 2016 Most Reputable rankings this year were based on an online poll of about 240,000 consumers in 15 different countries including the U.S., China, Germany, Russia, and Brazil, among others. There are similar rating and ranking systems which attempt to quantify seemingly unquantifiable corporate characteristics each year. "The Most Admired Retailers" rating and ranking list is created based on the opinion of stock experts and retail analysts. They "admire" money and invest-ability. "The Most Ethical Retailers" list is created based on the opinions of lawyers, professors, and government officials, who seemingly have a wide range of beliefs about what "ethical" means..
Because the opinions about which companies are the "Most Reputable" come from the populace at large, seemingly these rating and raking results would be the least biased and most valid. This might be true except for the bias that's inherent in the measurement tool itself. Basically The Reputation Institute, which is a private consulting firm specializing in "reputation management" says this... We'll define what makes a good reputation, we'll tell you how you measure up against our definition of reputation, then you can pay us lots of money in between surveys for "reputation management" services, and next year we'll tell you how well you molded yourself to our definition, based on the tool we designed to measure what we're telling you to do. There seems to be a little bit of room for bias in that methodology. What matters most about any annual multi-industry worldwide rating and ranking list, however, is why the companies that are being rated and ranked should care about what is being rated and ranked. Clearly there are a number of companies that don't care about being "reputable," since they don't ever show up in the Top 25 of the Most Reputable Companies List. In the retail industry it is notable, for example, that the largest retailer in the world - Walmart - is not anywhere near being the most reputable retailer in the world. But the Reputation Institute insists that companies must care about their reputation, claiming that their reputation data establishes a causal link between reputation and sales. Reportedly companies with higher rankings on the Reputation Institute annual list have customers who are "more likely" to recommend its products and services. That's in contrast to companies with low-ranking reputability, which cause an "unwillingness" in consumers to make a purchase. "Likelihood" and "unwillingness" are hardly parameters which establish a definitive relationship between "reputation" and sales. But certainly a company that is perceived to have good corporate citizenship, ethical business practices, and high quality merchandise is not doing itself any harm with its customers and potential customers. What follows is a list of the U.S. retail industry companies that were ranked in the Top 25 in 2016 on the annual Reputation Institute's "Most Reputable Companies" list, which is published each year in conjunction with Forbes magazine. On this "Most Reputable" list, the number in the left column indicates the ranking that each retailer was given based on the scores compiled from consumer surveys. Gaps in the ranking numbers exists on the lists below because only companies that have retailing as a significant source of their overall revenue were included. Compare the 2016 Most Reputable Retailing Companies in the World with the ranking lists from 2015, 2014 and 2013. For the most part the retailing companies that are designated a "reputable" doesn't change much from year to year, although their ranking numbers do shuffle around quite a bit.